Sunglasses have always been an essential of our wardrobe. Regardless of what season of year it is, we all tend to look for a saucy pair of eyewear. The reason is quite simple – eyeglasses add a stylish zest to any look that we present and bring in a touch of mystery. There is nothing else that can intrigue a hot guy with well-toned body more than your eyes shimmering behind the colored glass. By all means, aesthetic factor is not the only one that plays an important role here. It is also very necessary that your eyewear piece features material of high quality. Otherwise the item will be totally useless as it is not going to protect your eyes from the sun rays. While this post is not advice you on these technical details, what you can acquire is much more engaging. Take a look at some of the most striking and trendy eyewear shapes before you choose the one for yourself. Although you won’t surprise anyone with animal prints, designers still offer this pattern. 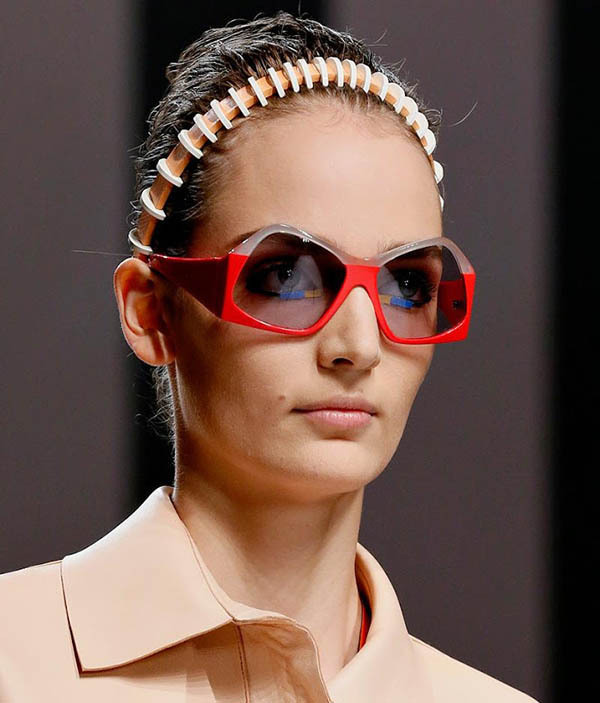 You will love this particular pair of sunglasses, since it looks both very simple and chic. I assume, it is due to the gold styling that the item has such a luxurious look. If it wasn’t for the latter, the pair would be very regular. Such a piece is going to make your outfit more glamorous and trendy, no doubt. If you add a bright lipstick, then you can be sure that all eyes will be on you. For those of you who prefer more moderate designs, a pair of sunglasses in pastel shades is just required for survival. Such an accessory will definitely demonstrate your fashion taste and perfect style as well as provide you with decent protection. If you are not sure about what to combine these glasses with, don’t even let this kind of thoughts and concerns into your mind. You no longer have to match your accessories with the main outfit; hence, this item can become a perfect addition to any possible ensemble from your closet. Just a small hint – it would be more reasonable to go for matching shades in your make-up as well (at least the lipstick). Otherwise there is a risk that your super trendy piece will get lost among the bright and catchy shades of your face features. Luxury is not to be hidden – this must the main motto of Dolce & Gabbana this summer. Not that the brand usually releases moderate designs, but this time it broke its own record. The line of beautiful sunglasses created by the two maestros deserves the highest appraisal and deepest affection ever. There is no way one can pass by such an accessory without a sigh of joy and desire. Although it looks a bit out of place, there is no such a rule that prevents human beings from being happy. Just happy – without any reason. And how else can you be happy, if not making others feel so. Trust me, if you rock a gorgeous pair of glasses with gold embroidery and encrusted rhinestones, you won’t even have to make any attempt – people will notice you themselves. Another awesome pair that deserves your attention is this wonderful item. I would love to get one of a similar design. The most engaging part of these sunglasses is represented by its shape – how many pieces with such an original design have you seen? This coolest item is very easy to pair your outfits with, as the world is your oyster. It does not matter what clothing pieces you sport or what style you opt for. As long as you are wearing anything at all. The more creative your ensemble the better it is. I would put even the different way. Do not, under any circumstances, opt for clothing pieces that feature boring designs or regular fits. Your sunglassses require much more intricate looks and deeper effort. Whereas it does not have to be of a bright shade, if you go for such, you will definitely make your ensemble more bold and complete. And finally, when we are speaking of shapes, there is no way our list can be complete without a pair with round glasses. This accessory has gained a lot of popularity among the most prominent fashionistas of the world and it still quite in vogue. There are plenty of variations for you to go for – just keep in mind that you don’t want something that does not stand out form the crowd. Hence, one ought to search hard before deciding on the item. 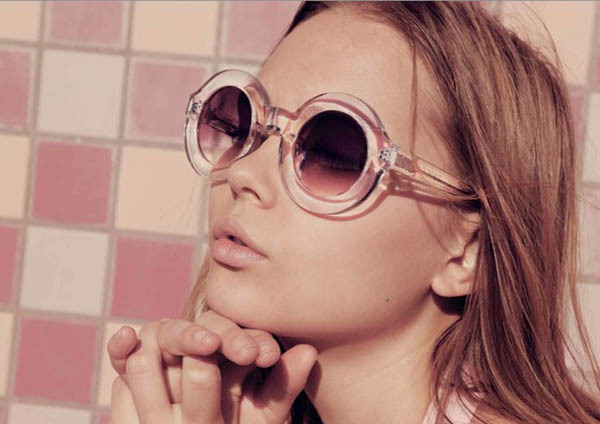 These were some of the most adorable pairs of sunglasses that you need to know this summer. Depending on your style and personal preferences, yo can create different looks. The most gorgeous thing about such kind of accessories is that you don’t really have to hesitate among several. The easiest way would be to purchase all five of them and rotate throughout the working week.